Drawing is a form of visual art and a great tool of expression for children. One of the major forms of self-expressions, the history of drawing can be traced to the ancient period. Drawing is therapeutic and an excellent recreation for adults as well. Most often, people join art classes to learn various techniques of drawing; however drawing needs time and patience and for most people, joining classes is not a feasible option. Books offer a credible alternative with which you can learn at your own pace. As per the author, drawing is not a talent but an acquired skill so everyone can learn to draw with proper instructions. For that, a person needs just a piece of paper, a pencil, and tap into one’s fertile imagination. This book offers comprehensive information about sketching 3-D figures while having fun. Although there are many people who would like to learn how to draw, they don’t have any idea about what it entails; this is one of the best drawing books that is ideal. It starts with basic information about how to choose the correct drawing accessories to the expert advice about proportions and perspective in drawing. First, published during the 1970s, this is one of the classic books that have remained in best-seller lists for decades. Further, it has enabled generations of artists to learn to draw scenes from the real world. The book offers valuable information to students about how to recognize true shapes of objects and use it in drawing. If you want to learn how to draw interesting stuff such as tattoo, holiday themes or photorealistic faces, this is one of the best choices for you. With step-by-step illustrations, anyone can learn to draw with confidence and precision. The book has a series of exercises that enables the student to see various elements of drawing such as space, shape and line and turn them into a work of art. If you want to become an artist, this is one of most suitable books as it teaches you about co-ordination between eye and hand. If you are taking art classes, with the help of this book, you can achieve top grades. It is because the author of this book is a self-taught artist who has gone through these stages. Trees are an integral part of nature and beauty. If you want to capture this beauty in your drawing or sketches, this is the best book available on the topic. You’ll learn precisely to sketch various types of trees such as palmetto, pine and willow, among others; this book offers various sketching techniques, approaches and compositions as well. Works of Art is one of the best ways to capture blissful moments of our life. This book enhances your artistic talent by teaching the best way to capture those moments. With friendly and fun teaching style, the authors of this book show how to capture the surrounding world in a realistic manner. This is the best choice for learning the basics of drawing, various types of patterns, textures and shading. The author starts with basic structure of shapes and adds various elements so as to help you create real-life sketches. Drawing animals is a complex matter as the artist must know the basics of animal anatomy for successful drawing and caricature. As this book has more than 700 halftones or line illustrations, the students can get in-depth about the fundamentals of drawing. Besides intermediate level artists, this book is also for those people who cannot draw a single line. The authors, who have won various teacher awards, offer secret tips and techniques to overcome common issues and create realistic drawings. This foolproof drawing guide offers a information on challenging textures such as fur and metal as well. One of the best sketching books that offers various techniques for using a pencil as a medium for creation of incredible drawings. They are so easy that anyone including beginners can master it easily. The book offers a step-by-step process to capture various textures such as metal, hair or glass. This drawing book caters to every level, from beginners to the acclaimed artists who can use it as a reference. It is because the book offers detailed information about how to draw realistic drawing and render accurate expressions and personalities of animals and people. Further, it teaches how to duplicate light effects through shading and blending. This is one of the best learn drawing books that offers a mixed media workbook about how to paint and draw fashion and beautiful illustration-style faces. A popular international workshop instructor, the author is known for her vivacious and enthusiastic teaching style. This is a classic book for learning to draw human figures in charcoal and pencil sketches. The book has more than 430 charcoal and pencil illustrations that depict various parts of the human body. The topics in this book include muscular tension and shading. The book also offers detailed information about structure of male and female anatomy. It is a fact that human figures, especially the head and hands, is very hard to sketch or draw. This is the best book for teaching various innovative techniques to draw the human anatomy. The book has 5 parts, 4 of them covers numerous techniques to draw the human head from various age-groups. The last part of the book is devoted to drawing hands. One of the best pencil drawing books in the market that offers a unique method of instructions for drawing human anatomy and more than 800 distinct illustrations for depiction of muscles and bones in human anatomy. The main reason behind the book’s popularity is the fact that the author has drawn on her 30 years of teaching experience, to offer an insightful approach for drawing human anatomy. The masters of Renaissance used to pass pattern books among their students that depicted human figures as a cube. This book continues the tradition by teaching the beginners about how to draw the human figure. The step by step instructions are very easy to pick up; hence beginners would find this book priceless. 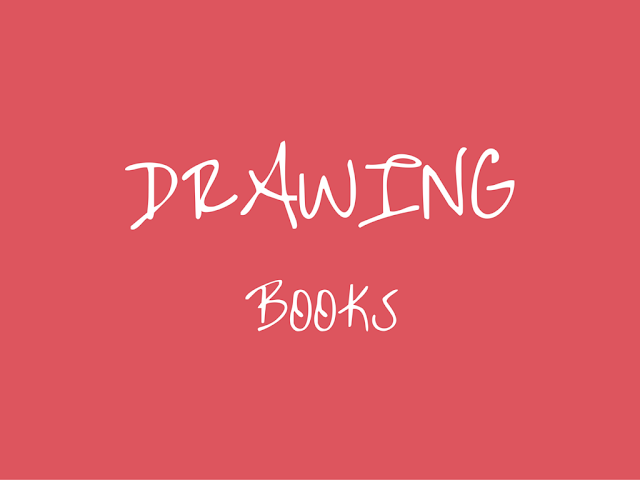 The following books are ideal books to initiate kids to the world of drawing. This book is specially written for kids who want to have fun while joining different shapes such as cylinders, ovals and circles and create various figures such as a mailman or a drummer. A perfect book for kids, this book also has some blank pages where students can practice drawing. The author uses simple shapes and teaches how to draw different animals such as dragons, mice and lions, among others. Full of simple techniques that enables kids and adults to learn to draw, this book also helps them to have fun during learning. The book provides detailed techniques about how to draw more than 400 interesting objects and animals such as kangaroo, gondola and submarine. The main focus of this classic book is the kids who want to draw cool stuff as well as the adults who want to learn how to draw. Drawing is not only an indispensable educational tool for children, it’s an amazing hobby for adults too. Having fine drawing skill is also a great value addition for corporates, as presentations often require rough sketches and graphs. These books offer a worthy substitute for taking art classes, allowing you to learn at your convenience.